Teku Tavern — Punch Design Co.
Teku Tavern is a premium beer bar and bottle shop in an elite Seattle neighborhood, right next to Amazon's campus. Most bottle shops have a very mom-and-pop feel, with something of a gritty garage ambiance, and without an abundance of service. 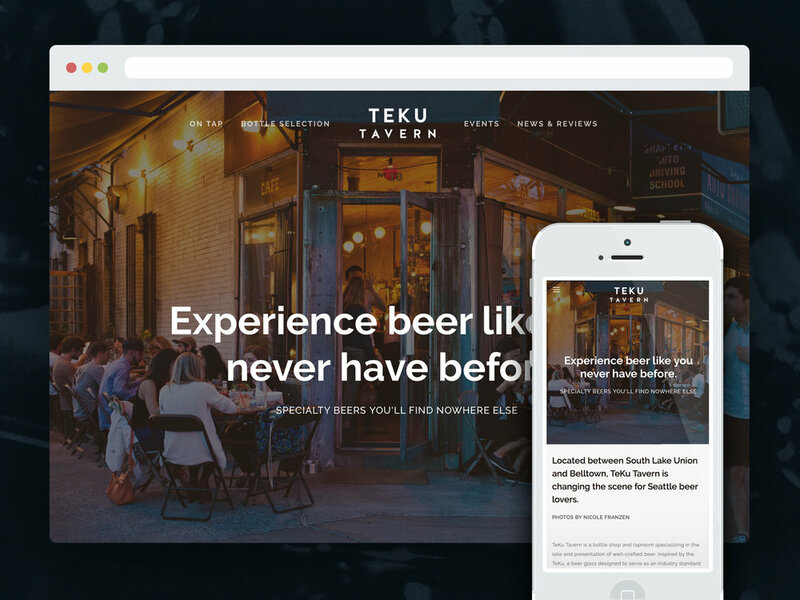 This is the opposite of what Teku Tavern is all about. 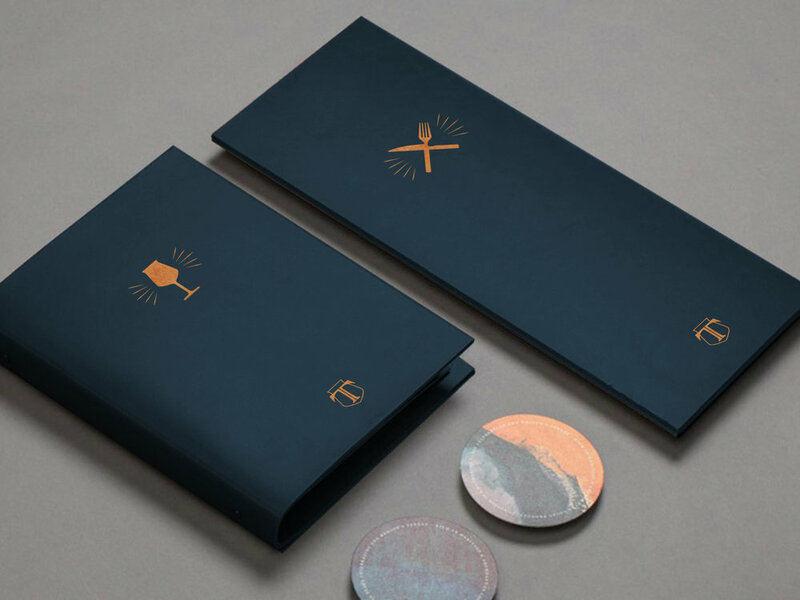 The challenge was to present Teku as a premium or luxury experience in a market that is not used to seeing it. We achieved this through rare materials (copper metals throughout the environment and collateral) and fine attention to detail. 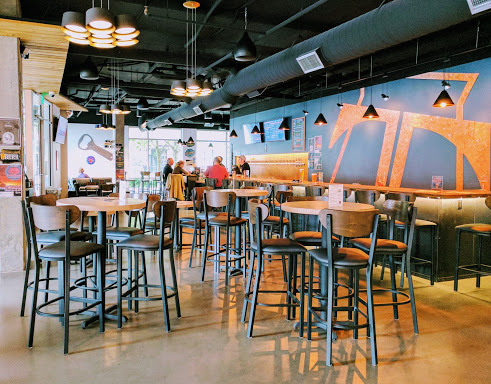 Additionally, we displayed the vast and varied tap list and inventory in a useful way across four different platforms: desktop, mobile, on-premise tablet menu, and on-premise TV menu. Along with the robust identity system and web design, we developed a custom digital menu system. 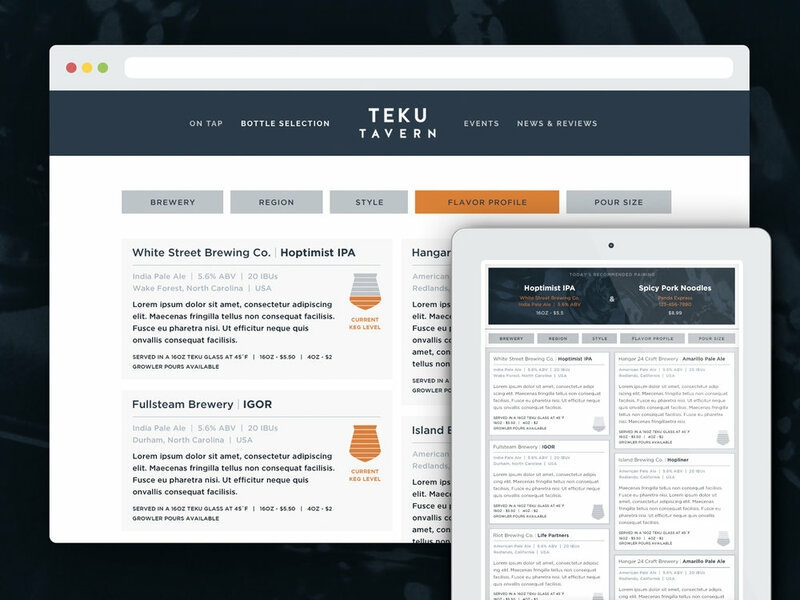 This digital menu gets data from a third party - which serves up real-time inventory, which beers are on-tap, and how much is left in each keg. This "shopping" experience is consistent across all devices and contexts, but provides additional and useful information at the point-of-purchase. Finally, the brand required extra details to convey the premium nature of their service. 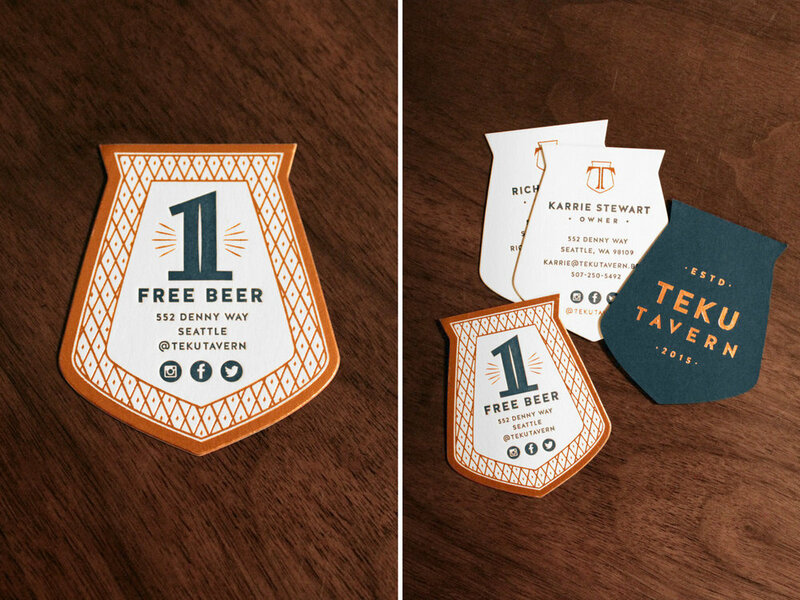 We designed a letterpress business card and token suite to that end.